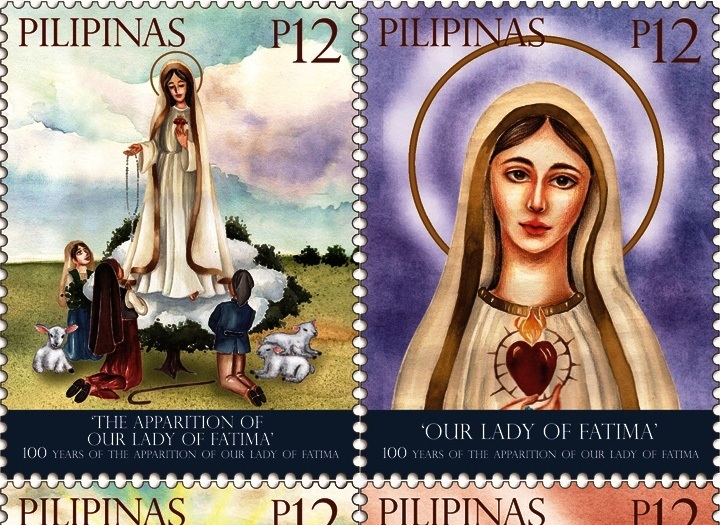 MANILA— The centenary year of Our Lady of Fatima has been commemorated with a national stamp, the latest honor for the patroness of the largest Catholic country in Asia. 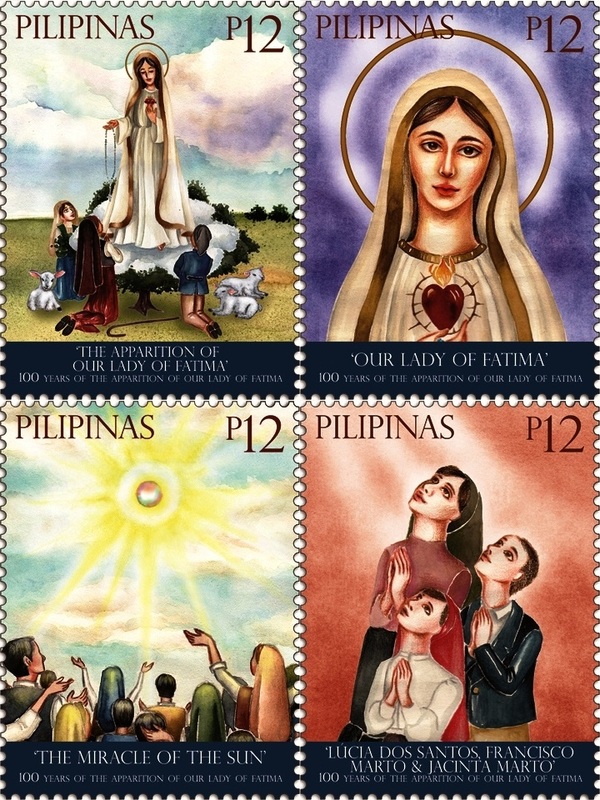 The Philippine Postal Corp. (PHLPost) has released se-tenant block of four stamps to mark the series of apparitions of the Blessed Mother to the three shepherd children in Fatima, Portugal. The Virgin Mary appeared six times to Lucia, and her cousins Francisco, and his sister Jacinta between May 13, 1917 and October 13 of the same year. 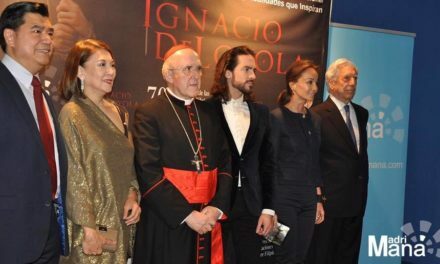 There are four designs of the commemorative stamps featuring the first apparition, the Our Lady of Fatima herself, the last apparition known as “the Miracle of the Sun”, and the three visionaries. 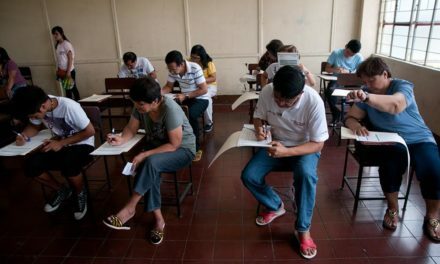 The agency has printed 80,000 copies of the P12 denomination of the block of four stamps which is available for sale in post offices around the country until December 13, 2018. It said the layout of the stamps was done by in-house graphic artist Eunice Beatrix Uy Dabu. The local Church has used the image of Our Lady of Fatima in a huge procession against extrajudicial killings along the historic Edsa highway last November.